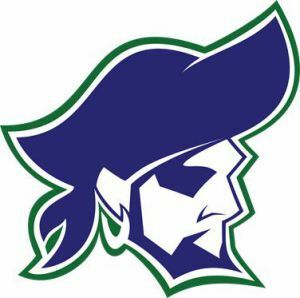 Pensacola State College’s Pirate baseball team lost two close games to Northwest Florida State College on April 22, 6-4 and 6-5. In Game 1, the Pirates had the tying run on second base in the last inning before Northwest Florida got a huge strikeout to end the game. Sophomore Drake Cabe led the Pirates offensively going 3-4 with 4 RBI’s and Kaven Brown pitched 7 solid innings allowing only 5 hits and 2 earned runs. In Game 2, Pensacola State rallied in the ninth inning to cut the lead to 2 runs. With the bases loaded, Sophomore Peyton LaCoste singled through the right side but the runner on second was thrown out at the plate to end the game. Willie Carter and Bucky McGlamry led the way offensively for the Pirates. The Pirates played their last game of the season on Wednesday, April 26, and lost a close one to Panhandle opponent Gulf Coast State College, 3-2. It was the Pirates’ last game of the season and it once again came down to the final out. Down 3-2 in the last inning, the Pirates had the bases loaded with one out before hitting into a double play to end the game. Sophomore Peyton LaCoste went 3-4 in his last game in a Pirate uniform. Freshman pitcher Alex Tyson pitched a great game allowing just one earned run through seven innings before giving way to the bullpen. First-year skipper Bryan Lewallyn and his team finished a challenging season with a 14-31 record and look to build around a promising young group of returning players for next season.